Our design services will help you achieve the outcome you always wanted. 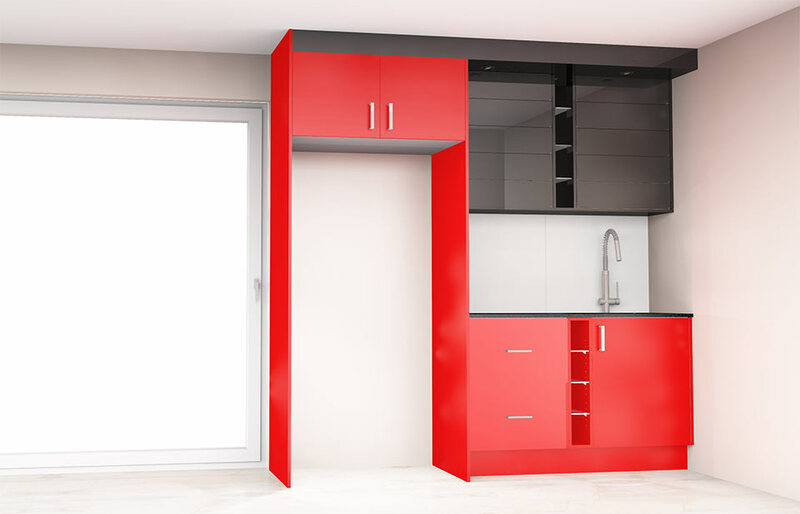 There are many different things to consider with cabinetry and our aim is to make the whole process seamless and enjoyable. 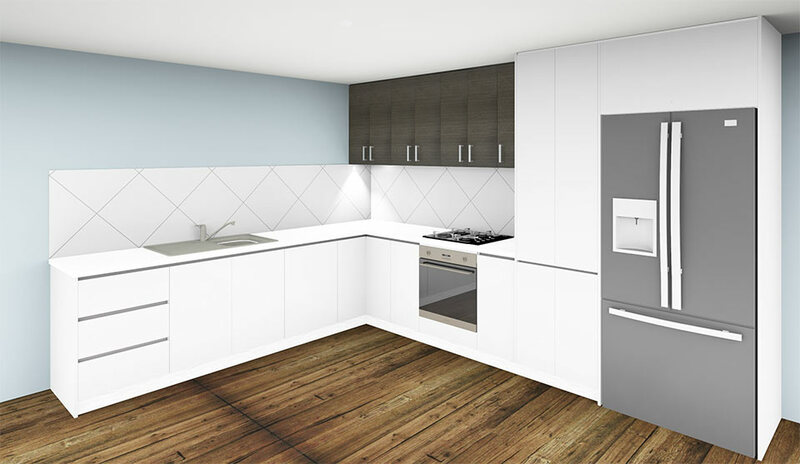 In order for us to provide you with the most suitable design solution we need to first find out what you require from the project. 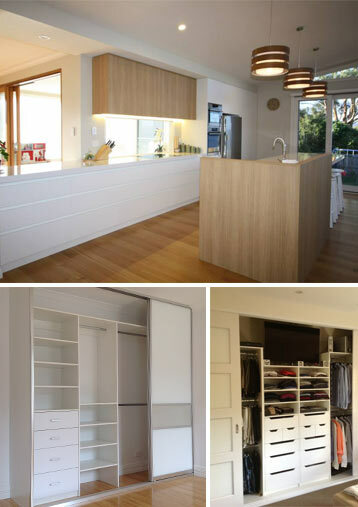 People use kitchens for different reasons and no two designs are the same. 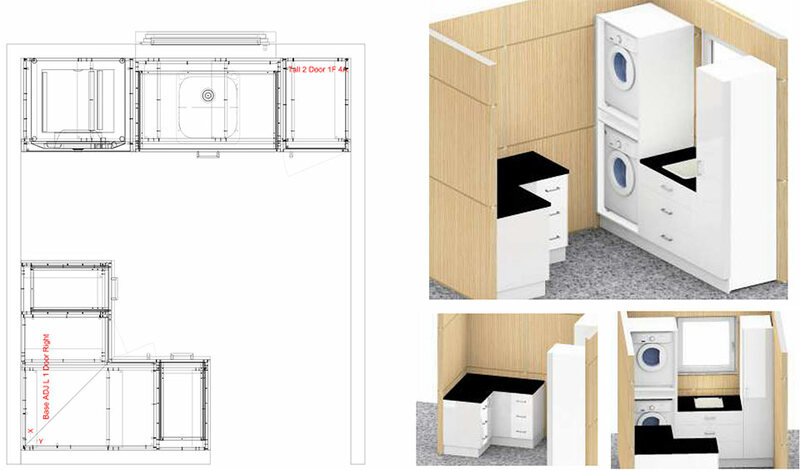 The same can be said for any other project like laundries, walk-in-robes etc. 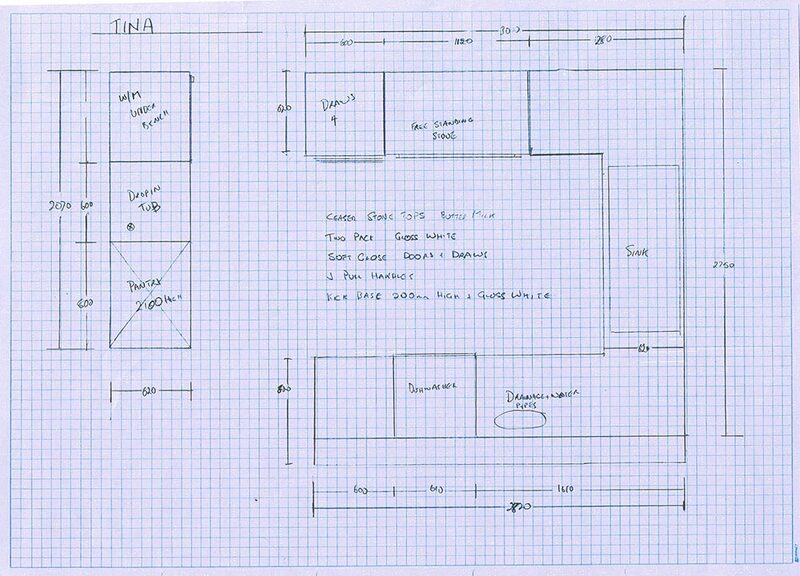 Step one is putting together initial rough sketches to give you an idea of the different solutions you have to work with. 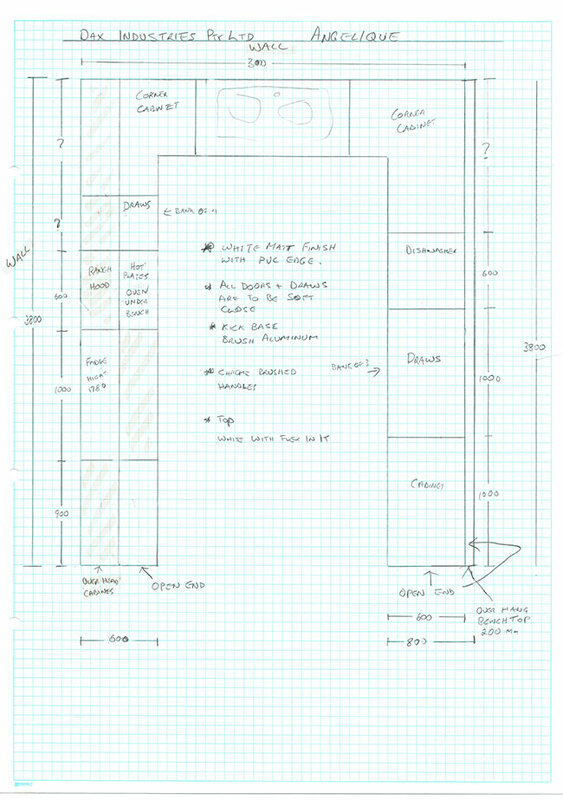 Step two is taking the selected sketch and putting this into our computer to generate a more details diagram and plan of the project. Step three is the quotation stage where not all components have been selection, colour, finish, handles we can provide a finalised quote if you would like us to manufacture the project. 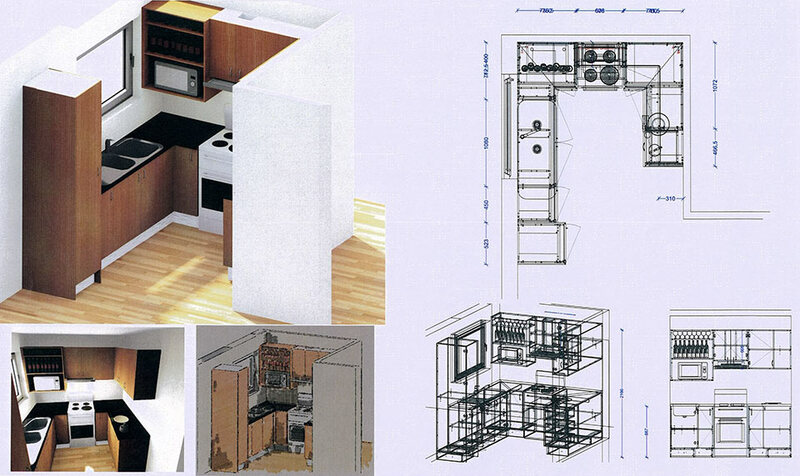 Examples of supplied customer plans we can create 3D renders from. 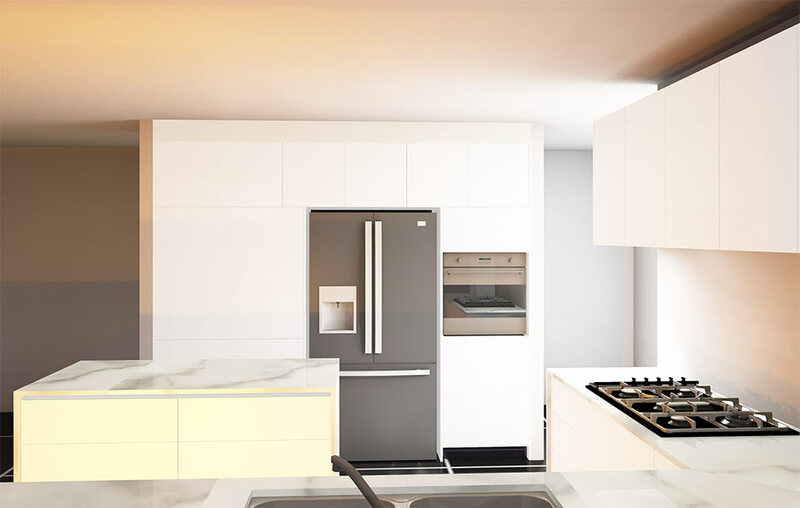 3D rendering of your new project takes the guess work and frustration out of envisioning what your new kitchen or bathroom. If a line diagram is not enough information for you to make the final decision on colours and textures then a 3D render can solve this problem. If you are interested in getting a 3D render then please don’t hesitate to ask us to give you a quotation. It can save you from making a very expensive mistake. 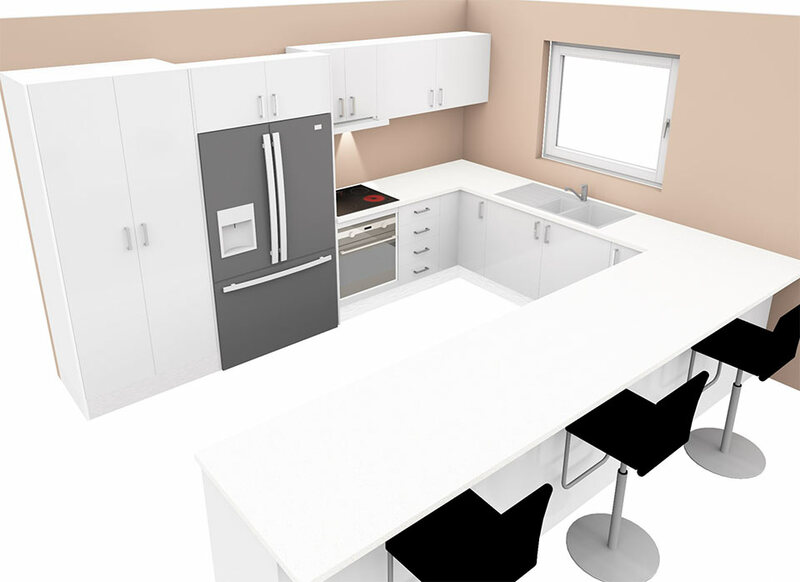 We provide 3D renders for both the DIY (weekend warrior) customer and the seasoned professional cabinet maker. 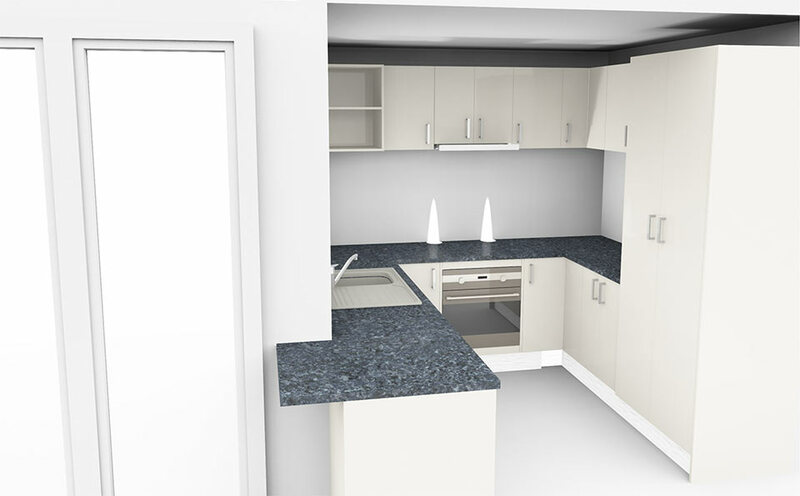 We often show a cabinet maker a finished 3D rendered image and ask, “Do you think this image will help you sell this kitchen?” The answer is always “yes!” Not everyone can envisage how something will look, 3D renders allow us to change colours, textures and finishes to compare against one another. You can then make and informed decision about what is going to look best in your house or office. Below are a selection of 3D renders we have completed.